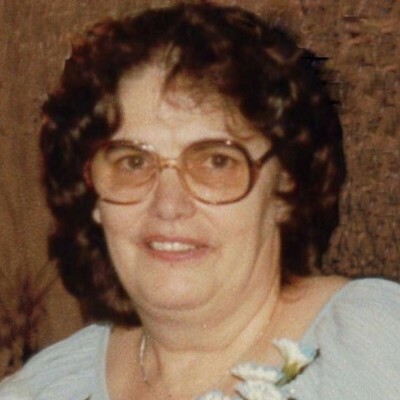 Verona Snider, age 84, a lifelong resident of the Spooner/Hayward area, died at Indianhead Medical Center in Shell Lake on April 8, 2019. Verona was born on July 30, 1934 at the family home near Spooner to parents William and Sylvia (Spaulding) Lawrence. She attended and graduated the 12th grade at the Spooner school. On August 1, 1952, she was united in marriage to William Snider. Early in their marriage she followed William to the Twin Cities for several years until moving back to the Springbrook area where they farmed for nearly 40 years. Verona’s hobbies included crocheting afghans and doilies, gardening, and collecting angels. Verona is survived by her children, Diane Olson of Hayward, WI, Steven (Linda) Snider of Rice Lake, WI, Dale (Shereen) Snider of Hayward, WI, Patti (Robert) Reed of Gordon, WI, and Thomas (Jan) Snider of Hayward, WI; 13 grandchildren; 10 great grandchildren; brother John (Sandy) Lawrence of Spooner, WI; and several nephews and nieces. Verona is preceded in death by her husband William, her parents, several brothers and a sister, her son Ronald, and daughter Susan. A memorial service will be held at 11:00 am at the Spooner Funeral Home in Spooner, WI. Visitation will be from 10:00 am to 11:00 am. A private family burial at the Earl Cemetery will be held later in the Spring.